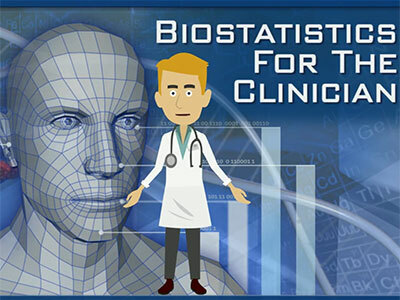 Computer-based learning simulations and training modules hold the promise to create “virtual patients,” enhancing opportunities for real-time learning and evaluation in medical education. Today’s e-learning platforms are often static, one-way programs or web pages that ask passive users to read text or watch a video on screen. However, the emerging generation of e-learning features dynamic visualizations and interactions that immerse the user in real-time settings. Military pilots and vehicle operators, for example, still log hours in traditional ways, such as hands-on simulation and flight time, but now also sit in front of a computer and practice tackling unique scenarios designed to challenge and improve their real-time decision making under pressure. 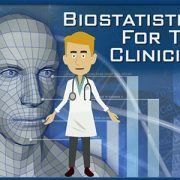 In medical education, computer-based learning simulations and training modules have the promise to create “virtual patients,” giving trainees and physicians the opportunity for real-time evaluation and application of evidence-based care models. Mary Ottolini, M.D., M.P.H., M.Ed., vice chair of medical education and designated institutional official, and Jeff Sestokas, M.Ed., director of the E-Learning Center, are at the forefront of developing these types of training modules for a wide variety of users with variable experience and specialty/sub-specialty expertise in pediatric medicine. Instructional technologists, multimedia developers and members of the Children’s Academy of Pediatric Educators (CAPE) – some of the nation’s best pediatric clinicians and medical educators – all work collaboratively to design programs that achieve specific educational goals. Each platform resides in a responsive template, making it accessible on a variety of devices and highly customizable to the needs of specific learners. A multitude of online communication and educational tactics are available to enhance learning, including live and archived lectures, forums, blogs, wikis, documents, training modules, virtual simulations, quizzes, podcasts and videoconferencing. Within each platform, individual educators have the ability to customize learning experiences even further, selecting specific modules and specialty content. “We’re taking these tools to people where they are, and delivering the content in ways that really embrace how this latest generation of trainees receives and processes information,” says Sestokas. Designed for Children’s National and sites around the country, the majority of the 25 plus platforms and portals created so far focus on what Children’s experts know best – the unique challenges and needs of pediatric patients and their families. Mary Ottolini, M.D., M.P.H., M.Ed. For example, clinical scenarios encompass more than simple clinical evaluation and diagnosis. The learning module BEARScalpel teaches surgical residents with limited prior exposure to pediatric care how to address common communication challenges that arise when interacting with pediatric patients and their families. Maybe the “digital” family has a language barrier or a child is in more grave condition than it appears and the trainee has to decide when and how to escalate the issue to an attending physician. Another module asks participants to diagnose a three-dimensional nonverbal “digital” infant, based on visual and audio cues such as type of cry, skin tone and overall responsiveness. This type of case-driven learning is relatively new in the universe of electronic medical education, but is showing early promise to improve students’ analytical thinking and problem solving skills. A recently published study measured the success of one platform at achieving its educational goals. Participants had higher satisfaction, reported higher impact on knowledge and demonstrated higher scores on metrics assessing behavior change in a virtual environment when compared to the traditional format of reading. The results suggest that interactive modules are not only a preferred method of content delivery but also more likely to improve resident performance. This assessment was made possible by sophisticated tracking systems built into each platform. The data collection provides a steady stream of intelligence about user interaction with presentation format and content, and the material’s contribution to learning goals. As a result of this innovative work, Children’s National is one of seven institutions, and the only children’s hospital, selected to receive an Accreditation Council for Graduate Medical Education (ACGME) Innovation Award that will develop next generation of learning resources for faculty and trainees around the country. and families with celiac disease learn how to identify gluten-free food.